A few months ago, a beauty box took the green beauty world by storm. It’s name? Heroes, Beauty Heroes*. Beauty Heroes is a one-of-a-kind service founded by the dynamic and wonderful Jeannie Jeannot, who’s a longtime spa director and green beauty expert. There are plenty of beauty boxes in the market and sometimes you end up with tons of little samples that you won’t necessary be able to use, but Beauty-Heroes is different: you get introduced to a real beauty ritual on its own, with two hero products (there’s always a full-size and a documentation about how to use the products) from one exquisite brand. Also, the brands featured are curated by a panel of beauty experts, such as Jillian Wright (the whole list is here) In short, Beauty Heroes brings you a mini spa session in a box. I was in for a treat when I received the October box, and brought a series of firsts: first time trying In Fiore, which is one of the pioneer luxury green beauty brands (founded in 1999), and first time trying the 4-2-4 cleansing method. I was familiar with the Japanese technique of layering, but the 4-2-4 cleansing method consists starts with a four-minute face oil massage – using Lustra Illuminating essence) followed by a two-minute cleansing massage (using treate cleansing emulsion) and a complete rinse with both splashes of warm and cold water. When I try something new for the first time, I tend to follow rigorously the rules, and I actually timed myself to make sure I was cleansing my face for 10 minutes. The first time it felt like an eternity (and it made me realize that I washed my face hastily in the evening, yikes) but as I massaged my face, I could feel it less congested and tense. The first 4 minutes consist in massaging your skin with Lustra Illuminating Essence, an oil cleanser with a deep base of grapeseed, jojoba, castor, and avocado oils and enriched with jasmine, bergamot, rosemary, chamomille etc. An oil I’d keep for the colder months, because it’s so lush and rich, and I didn’t experience any breakouts following its use. During these 4 minutes I massage from neck to forehead to ensure I don’t neglect any area. Afterwards, I layer on top the Treate cleansing emulsion, which is a fluffy cream cleanser. The texture is light and silky, thus layering it on top of Lustra doensn’t feel like weighing down the skin. It has an aloe vera and safflower oil base, blended with calendula, burdock, dandelion, rosemary, echinacea and many other delightful plant extracts. Two minutes later, I rinse off everything and transition from warm to cold water. The result after the 4-2-4? A refreshed, calm, glowy and a less tired complexion, with a relaxed mind and a feeling of great satisaction. The result was convincing enough for me to carry on with this routine every evening. Now regarding the scent: it doesn’t get more “jasminy” in my opinion. A floral effusion to say the least. Personally, I wouldn’t consider myself the biggest jasmine fan, however I always appreciate a genuine floral scent. Keep in mind that jasmine is In Fiore’s signature scent, therefore their products have an authentic, fresh jasmine scent. While I’m using Lustra, I also like to cup my hands and smell the delicate fragrance, I find it actually very calming. During the ritual, I can feel the grime, dirt and tension accumulated during day melt away. The benefits of massaging your face go beyond just promoting skin’s elasticity, it’s an invitation to relaxation. Through this 4-2-4 cleansing method, your body is treated like a temple, the skin is calmer, brain feels less mushy, and you’re feeling more zen and ready to catch up on some sleep. It can be challenging to dedicate these precious 10-15 minutes to cleansing, especially at night when the tiredness kicks in, but I guarantee you that once you’ve dutifully cleansed your face , you’ll be happy you did. Another month, another ritual, but this time for your hair. 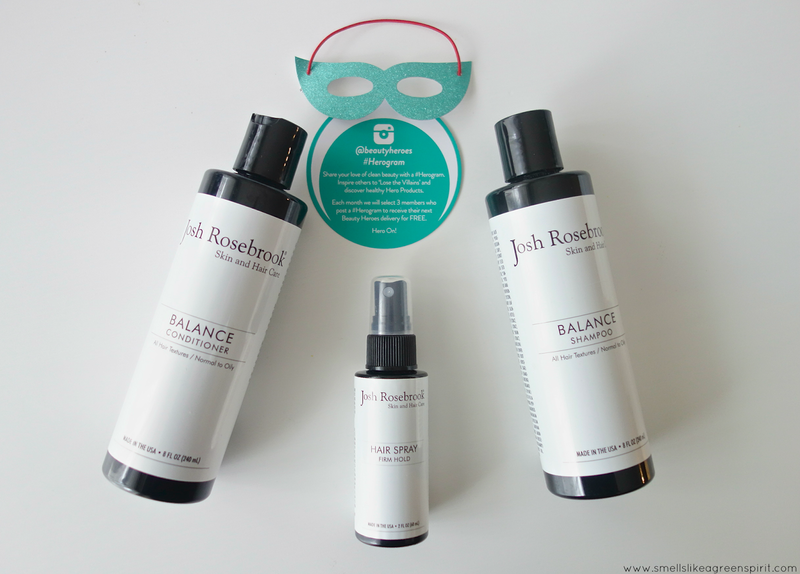 When I opened the box, I was in awe to see the latest Josh Rosebrook launches, i.e the Balance hair care duo and the Firm Hold hair spray. Some will say hat the hair spray is the hero product of the bunch, but I’m enjoying all three products equally. I won’t get into much detail about the formula, the ingredient list is jaw-droppingly long, but for the best reason. Josh Rosebrook blended every possible ingredient with fortifying and balancing properties. The experience I’ve had with Balance is very similar to the one I had with Rahua‘s hair products. My hair needed an adjustement. During the first uses, my hair was oilier than usual, but overtime it regained some balance, bounce and shine, and I finally got to enjoy its benefits. You can see a picture of a good hair day on my Instagram (here). Both shampoo and conditioner are very similar texture-wise, so make sure you don’t mistake them in the shower. 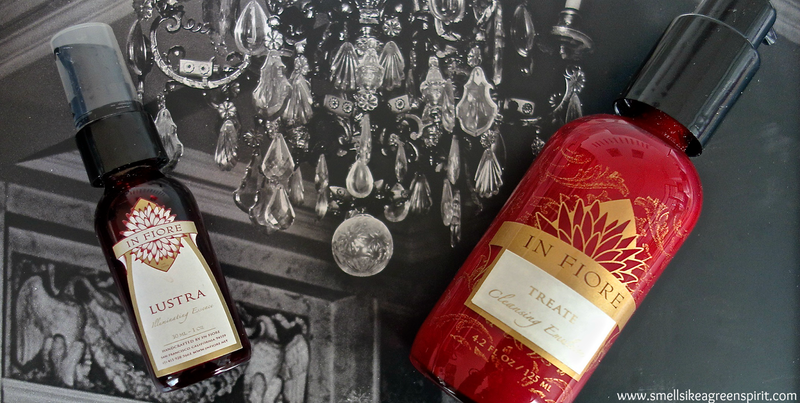 Similar to in Fiore, there’s a specific way to apply Josh Rosebrook’s hair care. Obviously the October and November box are no longer available, however Beauty Heroes also has an online clean beauty shop, where you can buy the products. If you’re already a member you also get 15% off in it. You have until the 20th of each month to place an order for a box, or you can suscribe for several months. Now I heard through the grapevine that the December box is very, very promising, so don’t miss it. If you have Instagram, make sure to post a picture of your Beauty Heroes box with the hashtag #Herogram for a chance to win a free month of Beauty Heroes. I’ll also be sharing a discount code soon, so stay tuned. 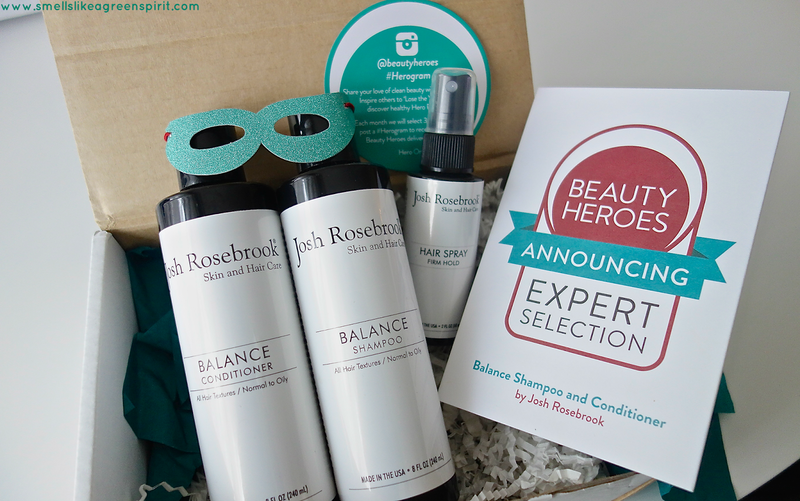 Have you tried Beauty Heroes? Heard lot of things about in fiore! But I already found my fav cleansers (OLO and Yuli hihi). Josh rosebrook shampoo & conditioner are the BEST!! Hi Liz! This is my first visit to your site and I cannot stop! I love the idea of the 4-2-4 cleansing method. I got the first 4 and the 2, what is the final 4? Rinsing? Thanks!